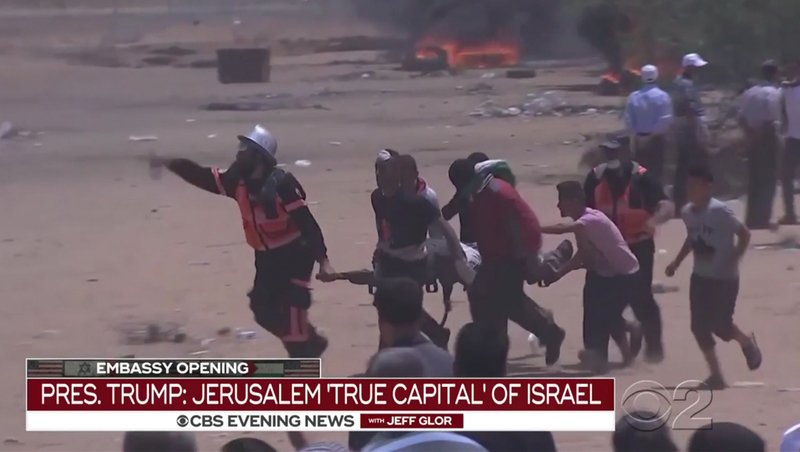 “CBS Evening News” was the only American evening newscast to anchor from Jerusalem Monday, May 15, 2018. 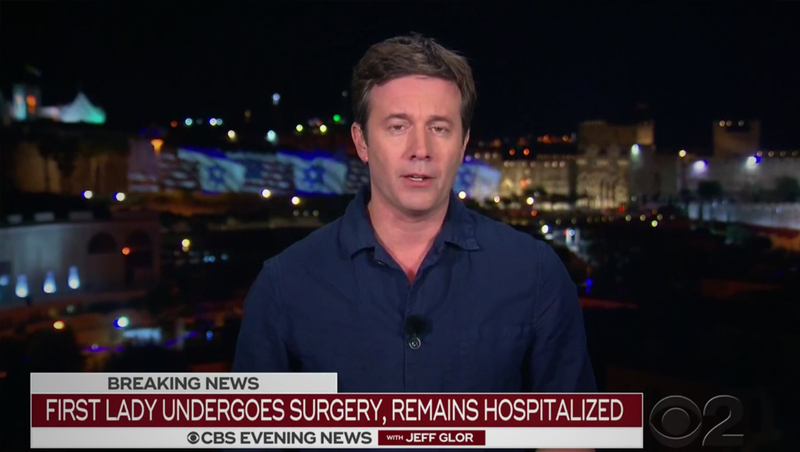 Anchor Jeff Glor was dispatched to Israel to cover the opening of the new U.S. embassy in Jerusalem, which was moved from Tel Aviv in a controversial move that sparked deadly protests. The broadcast led, however, was the late breaking news of Melania Trump’s surgery, though it did kick off the A block by promising extensive coverage of the embassy opening. After covering Melania Trump, the broadcast switched to the Jerusalem embassy coverage, with Glor stationed outside of the building that was lit up with projected American and Israel flags. For embassy coverage, the broadcast used an additional tier that featured a background with the U.S., Israeli and Palestinian flags. Both NBC and ABC also lead with Melania Trump coverage from their studios in New York, but did have extensive coverage from Jerusalem.